Having worked on over 20,000 hours of broadcast television and digital media, our team of writers, producers, designers, and editors create linear and non-linear, scripted and unscripted content with high production value and an eye for detail. from conception to delivery, we've got you covered! SO MANY WAYS TO SUPPORT THE ATTACK! 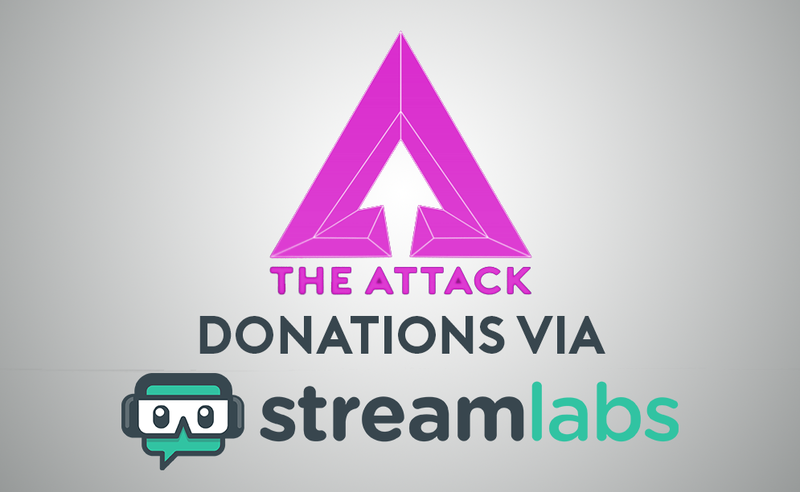 We've got exclusive rewards available on our Patreon, with TONS of extra access to every Attack Media show. Subscribe and get BTS access, expanded Discord access, Alex & Erin: After Hours, and every episode of Front Page today! Yes. There’s more than one way to give us your money. Click on our TIP JAR and toss us some singles. You can use credit cards or PayPal. Just remember: The more you donate, the more awesome you are. It’s a delicate mix of math and science. So have at it and THANK YOU! We can't do it all alone. As a growing studio, we are always on the lookout for new and updated equipment to make our productions better every day. If you want to help out, check our Amazon Wishlist to see what we're missing! And THANK YOU. WE PLAY NICE WITH PARTNERS!